Industry-leading shopping & retail apps like Walmart use Radar to build contextual experiences, delight users, and increase engagement. Integrate the SDK into your app. Generate contextual events by creating Geofences, enabling Places, or enabling Insights. Handle events client-side or server-side via webhooks or integrations. With these tools, let's get started! 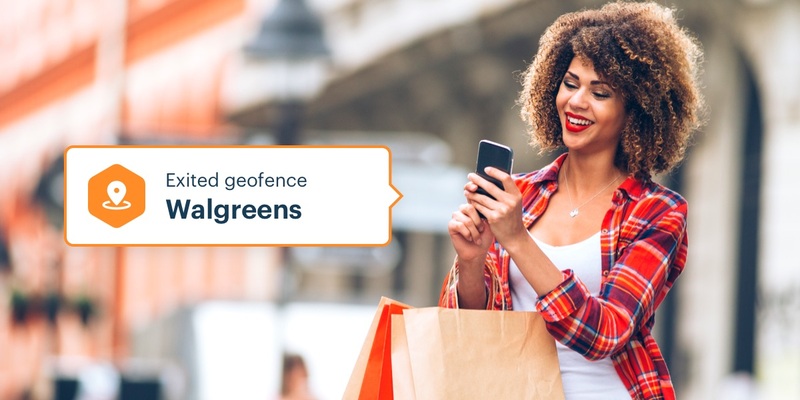 After creating geofences tied to store IDs or enabling Places for specific chains, you can check geofence or place state to determine if a user is at a store. You can then change the in-app experience, showing content specific to that store, unlocking coupons, and so on. Contextual in-app experiences can improve the user experience, increase conversion, and increase engagement. You can send push notifications in a marketing automation integration like Braze, Iterable, Urban Airship, or Leanplum, or in a custom webhook. Contextual push notifications can increase engagement, increase spend, and even attract customers away from competitors when used for geo-conquesting. Automated check-in can improve the user experience and automate operations. You can build segments in a customer data platform integration like Segment or mParticle, export events from the Radar dashboard, or send events to AWS Redshift, Google BigQuery, or another data warehouse through a custom webhook. Personalization with segments can improve the user experience and increase engagement. 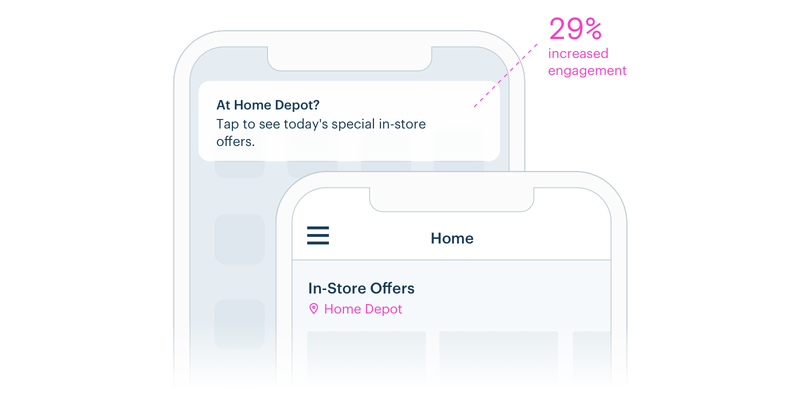 Finally, you can enrich behavioral events like app installs, app opens, searches, or purchases with location context using behavioral analytics integrations like Amplitude and Mixpanel. 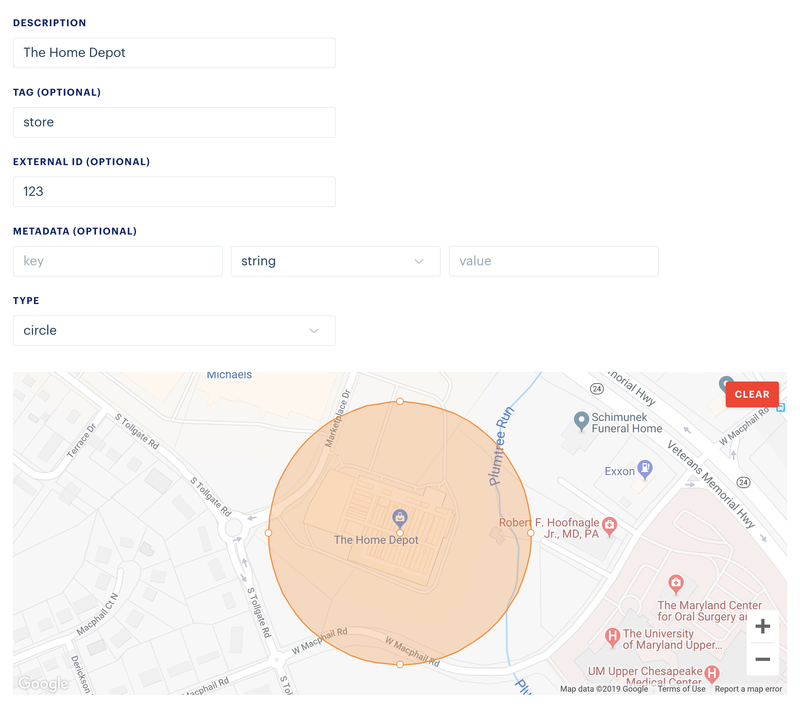 For example, you can enrich app install events with geofence state to understand whether users are installing the app at a store. Enriching behavioral events with location context can help you understand how users engage with your app in the real world. These are just a few examples of ways that you can use Radar to build contextual experiences, delight users, and increase engagement. Ready to take your shopping & retail app to the next level? Sign up or contact our sales team. We can't wait to see what you'll build.